On many occasions when you see people fishing, it is men and boys. 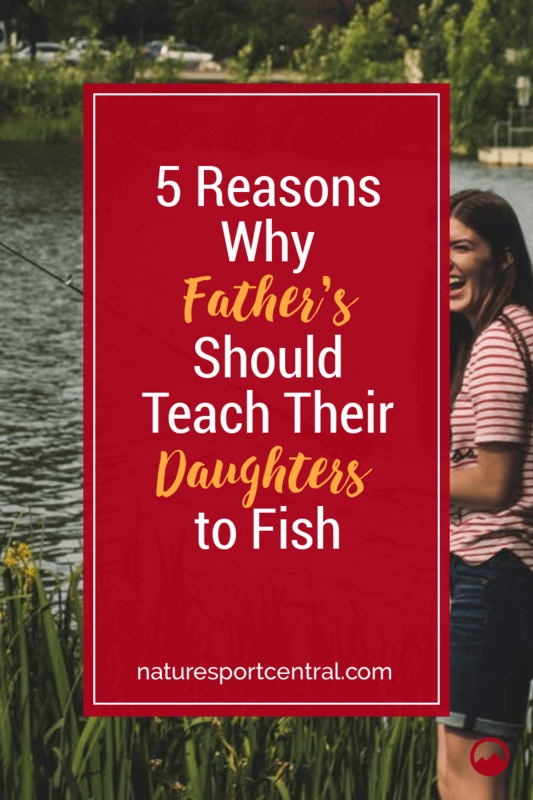 But times change, and although you might not see daughters with their dads every weekend, there are reasons why a father should teach his daughter how to fish. The sport itself isn’t the most glamorous in the slightest, and it is just as easy for a girl to fish, and to enjoy as a boy. A lot is down to them not being taught so they assume it is something they shouldn’t be taking much interest in. 5 reasons why a father should teach his daughter how to fish. Every angler knows fishing requires patience and tons of it. Fishing is the best way of teaching patience, even if they want to get up after an hour and run around for a while. Confidence can also be taught to a daughter through fishing because it shows on some occasions, it isn’t always possible to win. Problem-solving skills are also enhanced because if they use the same bait or lure with no success, they will quickly learn another strategy must be used. It also teaches daughters of the environment when the fishing spot is cleaned up like there was no one there. Rubbish goes in the trash can, and any other items on the floor are cleaned before leaving. Fishing is one of the top pastimes which can teach multiple things at the same time with little effort. Life, Nature and themselves being so of them. Daughters need to bond with fathers as much as boys. Fishing can be the ideal way to do this, especially if you are both new and fishing for beginners. When you are both at the same level, you will find there’s no way you will give instructions your daughter won’t understand. Once a daughter gets the hang of fishing she can sit there and chat away about anything, or she can sit there with her father it complete silence and taking in the atmosphere. Fishing purely means spending time together which is one of the best things a father could ever ask for. As it was mentioned, fishing is often seen as a man’s pastime. When a father teaches his daughter how to fish, it shows the world can be equal, and she is free to anything she wishes, and she will be able to attempt things which are often deemed as boy’s pastimes. When a daughter realizes she can try her hand at boys sports or pastimes such as fishing. She will find it is one of the best ways of getting out in the open to receive all the health and social benefits which come with it. Girls are so often put off attempting some things, and this carries forward into careers. They shouldn’t fear anything, and this sense of achievement gained from daughters learning to fish can be the lead up to this. Learning to fish teaches girls as well as boys lots of things, and they can quickly show their kids the same things when they are at the age of learning. How many moms would look cool teaching their children the ins and outs of how to fish. Above all, once your daughter learns to fish and then grows, she can use this time as a bonding process in precisely the same way as her father did. Fishing presents so many life skills which can be carried over into other areas, and learning these early on means they will be reinforced in their mind. Fishing also has the ability to teach these life skills naturally without continual teaching. Much of this reason is how the entire thing begins. When children are at school age, they start falling into each other’s patterns and performing the same activities. Although this is good for their interpersonal skills, it does help them to lose a little part of their individuality. There is nothing wrong with being different, and when a daughter learns how to fish, it is in a way making her special. She will also see she might be different in her pastimes or interests, but her friends from school will like her in precisely the same way. It will also provide many more opportunities to talk of something different, and especially when they see her with a picture holding a huge fish she’s just caught.